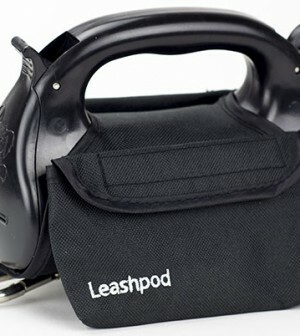 Our latest review is on a product called LEASHPOD. free up your hands while walking. bag to you. Yuck! Enough of that. empty but we still stood around talking about all the cool features of the LEASHPOD. bin. I probably could have sold 2 of these on the spot if I had them. their website for $34.95 for the small and $39.95 for the large.